Come to a part of town where the dealers meet, where the forgotten people hide, where reality cracks and peels like cheap wallpaper. Where normal is a dirty word. 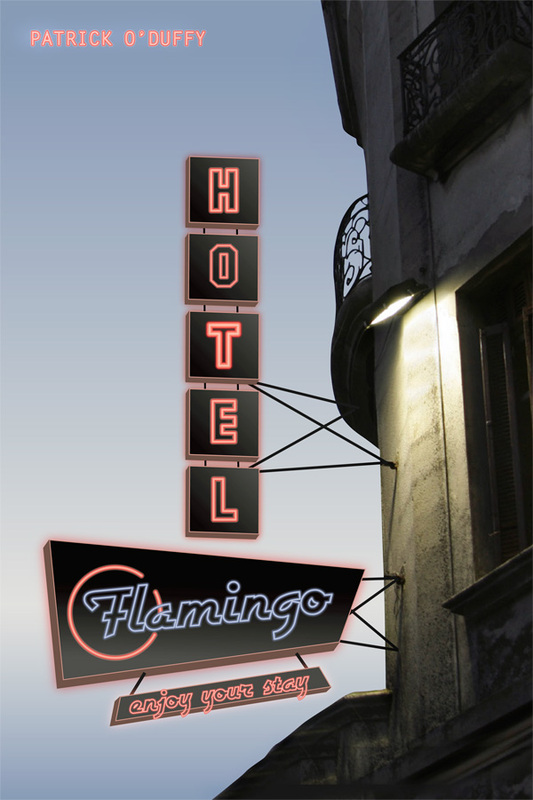 And while you’re here, come stay at the Hotel Flamingo – a refuge for resentful angels, feral symbols, disgraced magicians, broken-hearted foundlings, bad dreams and many others. 22 rooms. 22 characters. One novella following a tangle of destinies through a hotel packed with weirdness, coincidence and impossibility. Hotel Flamingo is like the best bits of 22 longer books brought together: fast, funny, weird, and brilliantly written. Hotel Flamingo is like 22 Clive Barker books all trapped in the same building together, and I mean that in the best possible way. An enjoyable, although extremely fantastic series of stories which are never the same. Each of the 22 tales in this volume stand alone, but also tie together to form the overarching narrative of a place with as much possibility in it as a TARDIS. Hotel Flamingo is a ‘mosaic’ novella that I developed and wrote in installments on my LiveJournal back in 2006-2007. This book brings it together into a cohesive whole. Most of these sites should allow you to read a sample of the novella for free.